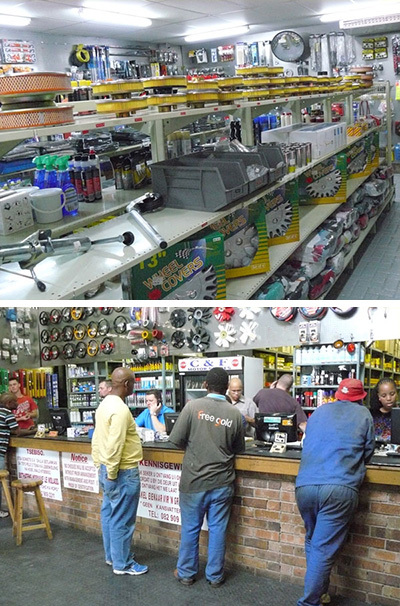 C&F Motor Spares was founded in 1995 by Claudi van Rooyen and a partner, Fanie. Claudi, who lived in Bloemfontein all his life, started working in the motor industry in 1977 as a tyre salesman. In 1982 he started working at a spares shop as a parts and accessories salesman. The first C&F Motor Spares was at 43 Glen Road, Hilton, and had a floor area of only 84m². They did all the work themselves. They were the salesmen, cleaners, drivers, bookkeepers, tea girls and managers. Whatever was required, they did it. The business grew rapidly and soon needed bigger premises. The next year they moved to 63 Glen Road, Hilton, with a floor area of 240m². Here they stayed for the next five years, where they built the business into a strong competitor in Bloemfontein. In 1998 a branch was opened in Jeffreys Bay, and in September of that same year Claudi bought out his partner Fanie and Fanie became owner of the Jeffreys Bay branch. Now as sole owner of C&F Motor Spares, Claudi went from strength to strength, and opened a branch in Botshabelo and in Thaba Nchu in 2000, and in Sterkspruit in 2001. In 2002 he had outgrown his premises again and bought his own building at 46 Lombard Street, Hilton with a floor area of 420m². C&F Motor Spares currently still resides at these premises. 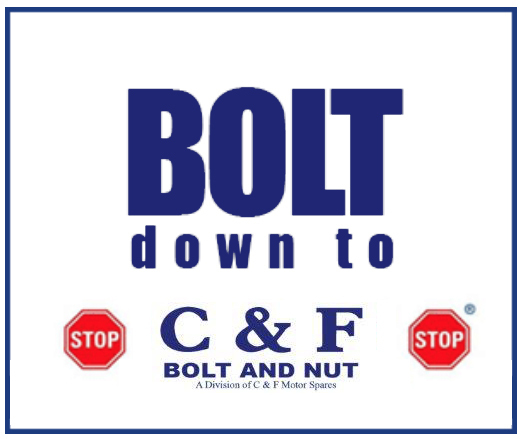 They have been renovated and expanded continually and include C&F Bolt & Nut and Number Plate Centre. In October 2010 Claudi sadly passed away at the age of 53. The business was bought by Trevor Gibson who had been working there since 2000. Claudi always believed in hard work, honesty and service to his clientele. This is what made him and his business successful, and is the goal that we still strive for every day.